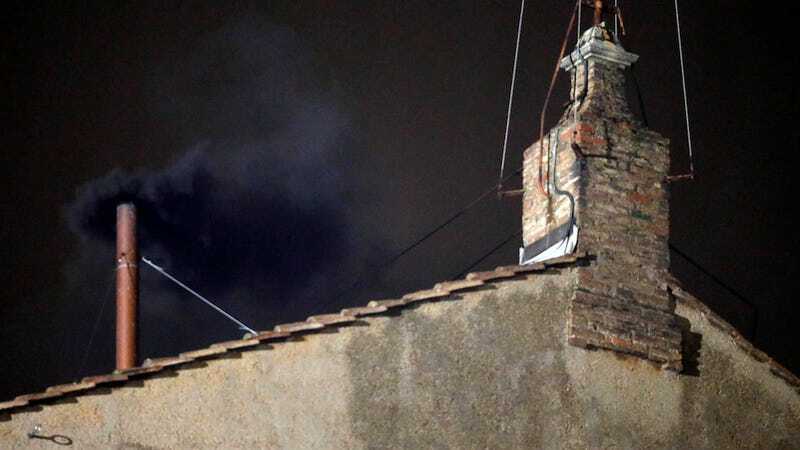 What's Inside the Vatican's Black and White Smoke Signal for a New Pope? The Vatican needs to find a new Pope. And to notify the world of when a new Pope is chosen, the papal conclave will communicate through smoke signal. Black smoke means they haven't found a Pope, white smoke (or "fumata bianca") would mean that there is a new Pope. So what's inside the smoke? It's still a little bit of a mystery. A Vatican spokesperson told the NY Times that the smoke was made "from different elements." Hm, that's not exactly helpful. Historically, the Vatican has used wet straw to create black smoke but the problem with wet straw is that it sometime created gray smoke, which, well, can look black and white. You could imagine the confusion.